Also known as Crassostrea Sikamea, the kumamoto oyster is a native of Ariake Bay in Kumamoto Prefecture, on the southern Japanese island of Kyushu. This Japanese import is one the most widely cultivated oyster on the West Coast of the United States. Because it comes from such warm waters, the Kumamoto doesn't spawn naturally in the colder waters of the Western coast of North America. As a result they are the sweetest and most flavorful in the summer months, which is when they get closest to spawning. Oysters are considered less appealing during spawning. In order to grow them, shellfish farms heat the water they are in to induce the spawn. Given their size and milder flavors, they are a good oyster to try on the half shell for the first time. Kumos take 3 years to reach market size. Typically smaller than other oysters, about 2-3 inches in length, Kumamotos, are round in shape with a deep cup and slightly scalloped shells. Choosing: Oysters should be closed tightly, very cold (but not frozen) and smell of the sea with no hint of fishiness or rotting smell. Buying: Often sold in fish and/or Asian markets. Procuring: In waters where they grow wild, look for them on shorelines with rocky beaches at low tide. Be sure to get the proper permits in your local area and check with state authorities to be sure seafood at the beach where you collect is safe for human consumption. Kumamotos are best on the half shell since they are smaller than other oysters. If you do choose to cook, try light poaching or including in a soup. More intense cooking, such as frying or baking, would lead them to be overcooked and overpower their delicate flavors. Try serving with a yuzu mignonette. Cleaning: Shuck as you would any oyster. Keep cold in the refrigerator or on ice. If using ice, do not allow them to be submerged in the ice water for extended periods as this will kill them. Most Kumomoto oysters are farmed in clean waters of the Pacific Northwest of North America using sustainable aquaculture practices. 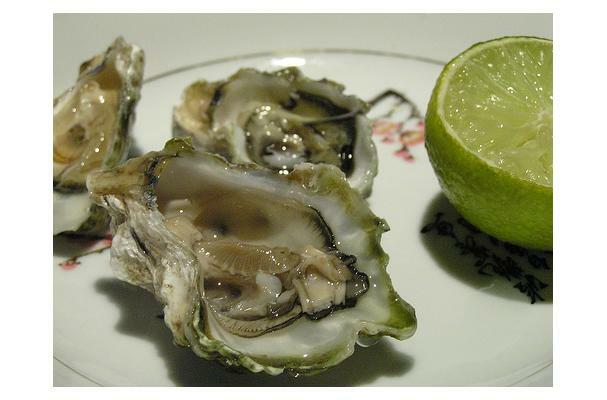 History: They were imported from Japan in the 1940s for testing and local growers found them to be very tasty and a good substitute for Olympia oysters. 40 years later, in the1980s, improper handling caused kumos stocks to drop and more could not be found in Japan as they were accepted as extinct there. A couple hundred kumos were found in the 1990s in an isolated area and were reborn into the industry. I think the main characteristic of this oyster that your article missed is its "creaminess." That's a very unusual taste/texture in oysters, and it makes the Kumamoto (for me) a really distinct and delicious choice.